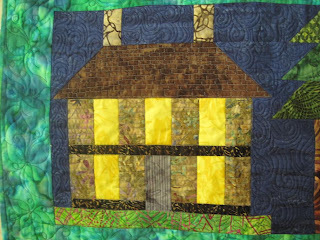 In the Studio Elves post, you may have noticed a house quilt hanging on my new gridwall. It is for my realtor, who has been working with us for about three years. First looking for our new house and then helping us sell the old one. Since closing on the old house was on August 16th and she now knows about the quilt I can post it on my blog. 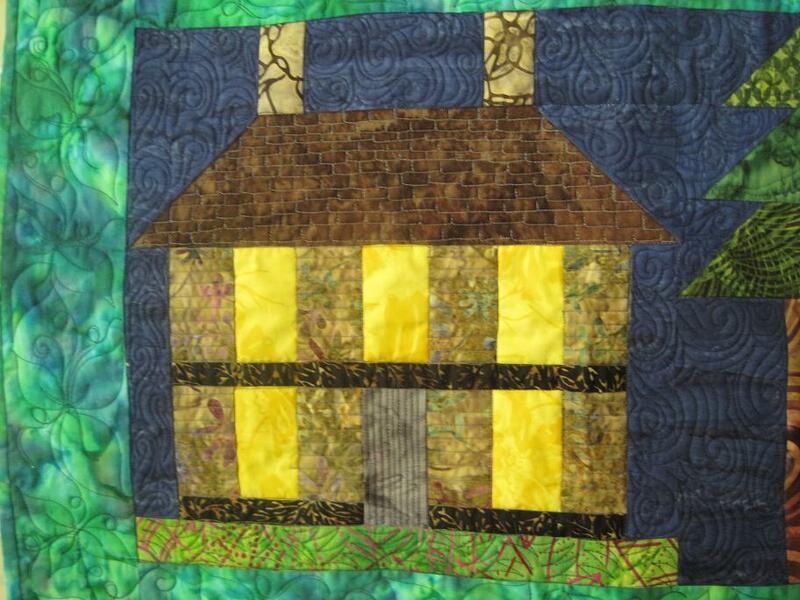 Lorraine had mentioned that she wanted a house quilt to hang in her office. My Mom and I found the pattern for this quilt in Quilts! Quilts! Quilts!!! by Diana McClun and Laura Nownes. We started piecing the quilt right after I moved into the new house. Toward the end of May, I decided that I need to finish it so that it would be ready when the old house sold. 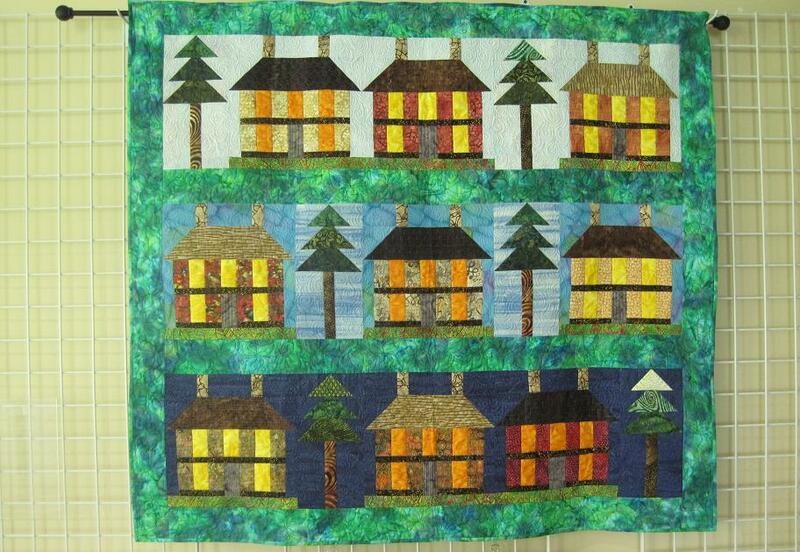 I finished quilted the quilt in in the middle of June and we had a offer on the house soon afterward. Since I knew this was going to be a wallhanging, I got to heavily quilt it. There is lots of detail on the houses, very heavy background fills and leaves and tendrils in the borders. I used Superior's So Fine thread and Fil Tec's Glide thread on top. And Fil Tec's Magna Glides in bobbin. I feel kind of guilty, but after I showed Lorraine the quilt, I explained that it is going in a show in September and she will not get it until after then. So we gave a cheesecake made by Matt that she could enjoy right away. I finally finished Mom's quilt! There have been elves in my studio!! !